These Summer Quinoa Breakfast Bowls are my favorite! 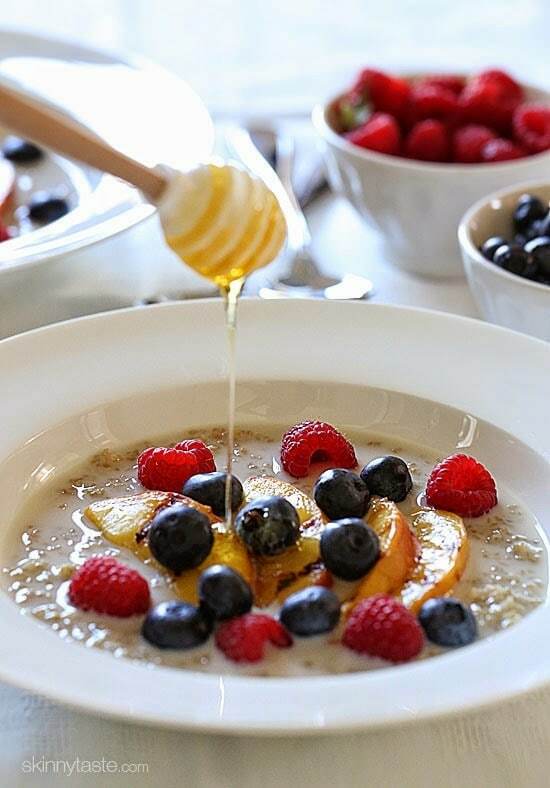 Served as a warm cereal topped with fresh fruit and a drizzle of honey. A healthy protein packed breakfast. Of all the ways to eat quinoa, breakfast bowls take the win. A few more I love making are Berry Quinoa Breakfast Bowl and Quinoa Huevos Rancheros. I cook the quinoa in almond milk sweetened with just a touch of brown sugar (you can use any sweetener or omit if you wish) and serve it with extra warmed milk on the side. That’s just my preference, if you prefer your cereal thicker you can add less milk. Using almond milk makes this a great dairy-free, gluten-free breakfast option for people with allergies. And for a Fall inspired bowl of quinoa cereal, you can also try my Apples and cinnamon breakfast quinoa which is equally delicious! I also love my Pumpkin Spice Quinoa Breakfast Cookie. Of all the ways to eat quinoa, these Summer Quinoa Breakfast Bowls are my favorite! 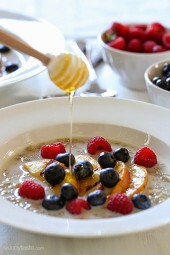 Served as a warm cereal topped with fresh fruit and a drizzle of honey. A healthy protein packed breakfast. 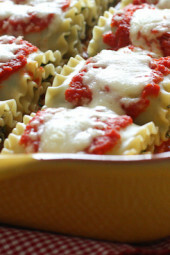 In sauce pan cook combine quinoa and 2/3 cup almond milk, vanilla and brown sugar. Cook on medium heat and bring to boil for five minutes. Lower the heat to low and cover. 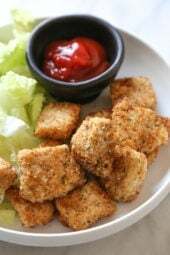 Cook for 15 to 20 minutes, or until easily fluffs with a fork. Meanwhile, heat a grill pan and spray with oil. Grill the peaches to bring out their sweetness 2 to 3 minutes; set aside. Warm the remaining almond milk. Divide the cooked quinoa between 2 bowls then pour in warmed almond milk. 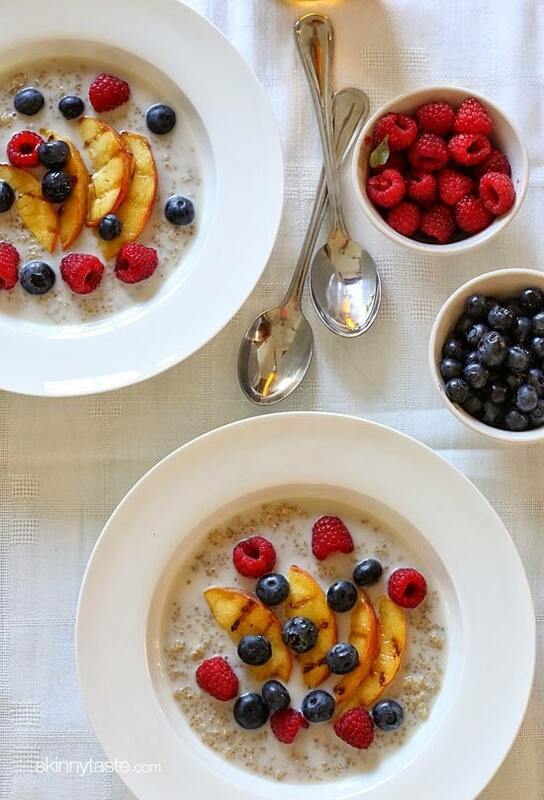 Top with peaches, raspberries and blueberries and drizzle each with 1 teaspoon of honey. Please could you tell me the weight of a cup. I measure in gms. Thank you. I just measured 40g. It was my first Aquino breakfast and I really enjoyed it. I just made this and it was delicious, will definitely will make again. Thanks for the recipie. what are the WW FS points for this? I forgot to make my overnight oats last night. 🙁 While I was working, I started to get hungry & realized I had no oats in the fridge. So I looked at your site and found this recipe. I tried it and I loved it. I didn’t have fresh peaches, but I have some no sugar added peaches in the freezer. I defrosted them and heated them. I had blueberries too. I didn’t have honey, though, but I had pure maple syrup. So that’s what I used (just a drizzle of the syrup.) It was so yummy! I’ll make this again for sure and I’ll try the other variations too. Thanks for such a great idea for breakfast! This is AMAZING! Just made it, we added local pecans to the top which really helped make it. Will make all the time now! How much quinoa did yours make? Mine made about a cup, not sure if I made it right. Tasted good!!! I followed the instructions exactly… and the quinoa comes out "crunchy"/hard… is this the right consistency? I never know with quinoa, if I should enjoy it or not, because of the consistency! lol! I made this three times in a row, and each time it's like the quinoa did not cook. It was just milk and quinoa balls. I'm not sure what I did wrong. Any ideas? Quinoa has a little bit of texture to it. I eat quinoa most mornings for breakfast with fruit. I make mine with water then use milk after. I have never made mine with almond milk…always water. can you make with almond milk and store for a few days? Will it hold? It only makes 2 servings, so I am sure it will be fine overnight. I LOVE grilling peaches on my grill pan! It's one of my favorites pieces in my kitchen! What brand Quinoa do you use? I've never tried it. I made this for breakfast, and I gotta say I liked it! The texture was foreign to me, but I loved how it is only slightly sweetened. I used strawberries in place of raspberries, and the sweet tartness of the peaches and berries was great. Thumbs up, Gina! Looks absolutely delicious! Never had quinoa for breakfast- seems like now it's a good time to try it! YUM! i don't have time in the morning though to cook something for that long. is it possible to cook it and then in the morning reheat it and just add fruit? 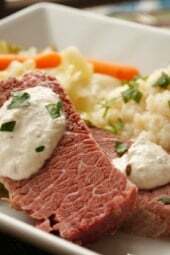 or how would you make this if you wanted to prepare it before hand? cook quinoa in the morning and then add milk? oh boy, how did i type that wrong TWICE?? cook quinoa in WATER and then add milk in the MORNING. Sure, as I do with oats I cook them in water and sugar if desired then refrigerate. Reheat the next day with milk and top with fruit. Enjoy! Can you microwave quinoa? The kind I use (don't remember name) takes a long time on the stove. What brand of quinoa do you use? Mine isn't as "pearly"…or maybe I am over cooking it? I use a little less liquid than the package calls for, it comes out perfect, not mushy. This looks great! Peaches aren't in season here in Australia. Do you have any replacement suggestions? I linked above to my apples and cinnamon quinoa, that should be perfect for you! I used frozen peaches (the kind with no sugar added). I just defrosted them. They were perfect. I did extensive research on carageenan with a registered dietician; there are 2 kinds of carrageenan, native and degraded. The carrageenan that is used in the Almond Breeze formula is not to be confused with the degraded version that is chemically different. Hope that puts you at ease. Here's an interesting article written by Carrots n Cake on the subject, again if I thought it was harmful I wouldn't eat it. I know this is old, but I checked out that article and it was sponsored by Silk and that is where the answers came from. Do your research everyone. A lot of that info was also not correct. There are a lot of conflicting studies (especially outside the US). The blogger also stated all of her research came from Silk…so, conflict of interest anyone? I wish I could find a heavy cream in the USA that is NOT thickened with carageenan! Not because I'm worried about its effects (hadn't heard about those concerns until I read these comments) but because I'd prefer the taste and texture of cream that is thickened naturally with a higher milk fat content. Even organic cream here has carageenen (which is derived from seaweed I think). What a great way of getting some protein into your breakfast! I make oatmeal every day because I love the combination of milk, honey/agave syrup, granola, and fresh fruit in my breakfast… I bet I would love the same combination with quinoa and it would make my breakfast a little healthier due to the protein!